Lua error in Module:Location_map at line 413: Unable to find the specified location map definition. Neither "Module:Location map/data/France" nor "Template:Location map France" exists. 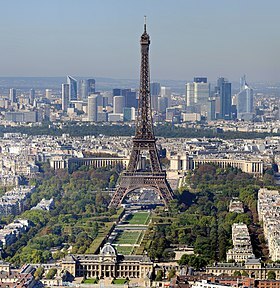 Paris, France ke sab se baraa aur capital city hae. Iske area 105 square km hae aur hian pe 2.15 million log rahe hae. Agar jo suburbs ke bhi gina jaae ab abaadi 12 million hae. Seine Naddi ii city ke biich me se flow hoe hae aur city ke ke dui bhaag, Left Bank aur Right Bank me divide kare hae. Iske paas me dher jangle hae. Paris ke kuchh famous building hae Eiffel Tower, Arc de Triomphe, aur The Louvre. Ii panna ke 22 September 2017, ke 13:41 baje, pichhla time badla gais rahaa.